Only a young boy could hear the song of Alabaster, the little angel on the Christmas tree. This delightful story of a boy and a gap-toothed cherub teaches the value and wonder of childlike faith. A young boy discovers on Christmas Eve that he can hear the beautiful voice of the angel residing atop his Christmas tree. Through the angel's song, the boy learns the value of his faith, and passes it on to the rest of his family. 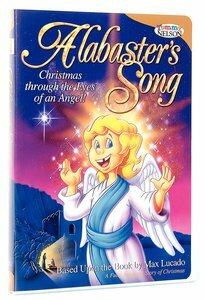 This DVD includes Max Lucado's classic story, The Crippled Lamb, in addition to his full extended length animation, Alabaster's Song, with chapter breaks, screen savers and wallpaper.